Yes, they graduated. But all Glee cast members will return for Season 4. It's off to New York City for Rachel Berry. She says her goodbye in this season finale photo. 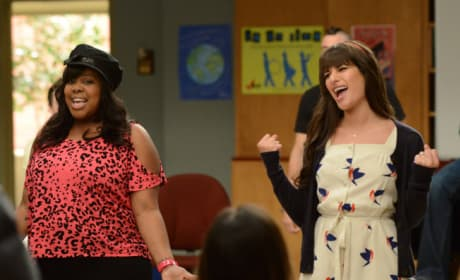 Rachel and Mercedes have graduated. They sing here for one of the final times as William McKinley students. Gloria Estefan is seen here on the Glee season finale. She's playing Santana's mom. It's a very sad day for Will. Many of his students are graduating. 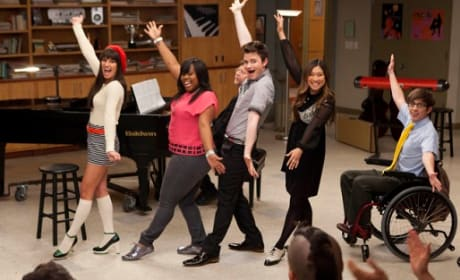 The Glee seniors are all pictured here. Will you be sad to say goodbye to a few of them? So long, seniors! 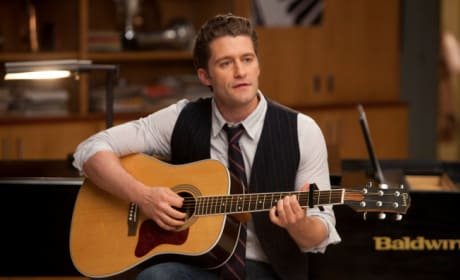 This is a photo from the Glee season three finale. Lindsay Lohan and Rex Lee are seen here as Nationals judges. They guest-starred on Glee. This bus sign says it all. 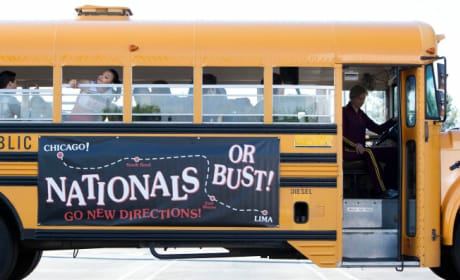 The group takes off for Chicago on the aptly-titled "Nationals." Give it up for Wemma! Will and Emma are on the path to marriage in this still from the episode "Nationals." Sugar looks like Quinn here, Joe like Mike. It's the result of a head injury to Tina on the episode "Props."